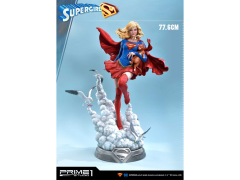 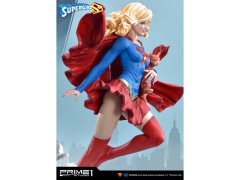 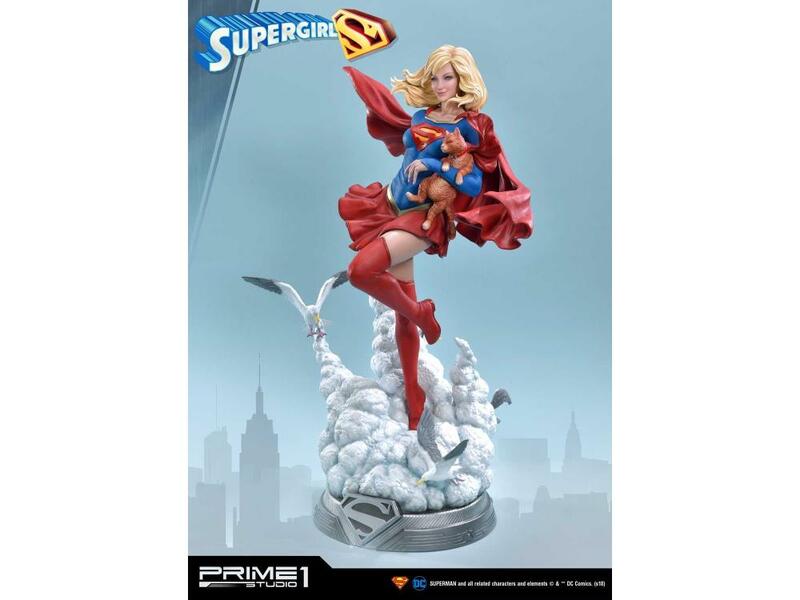 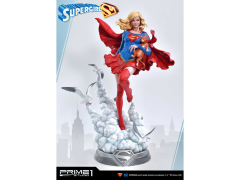 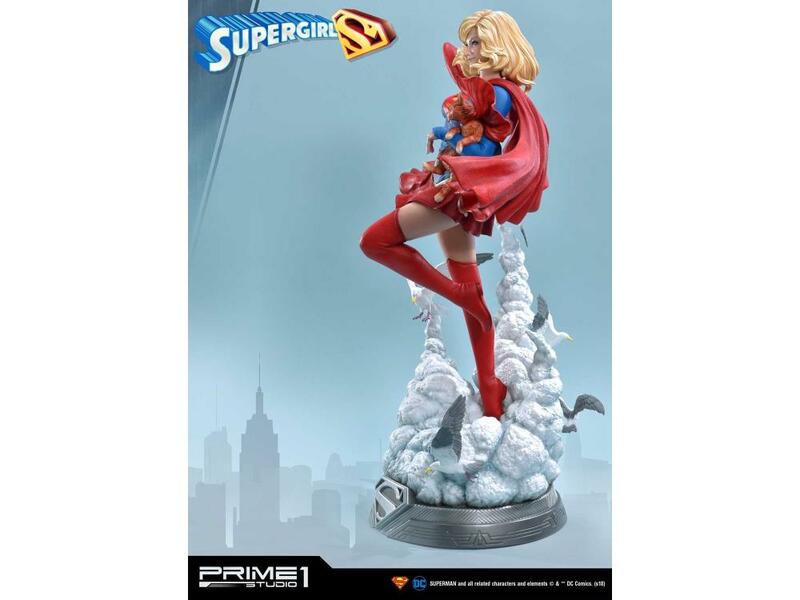 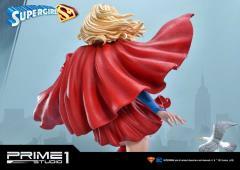 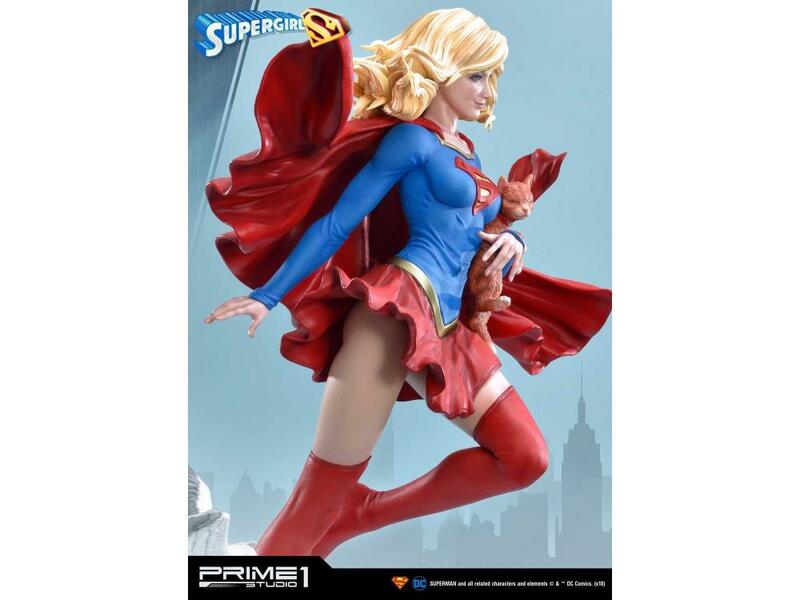 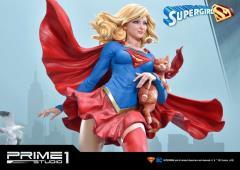 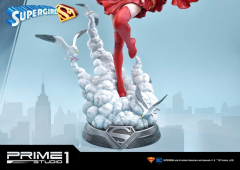 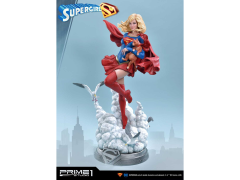 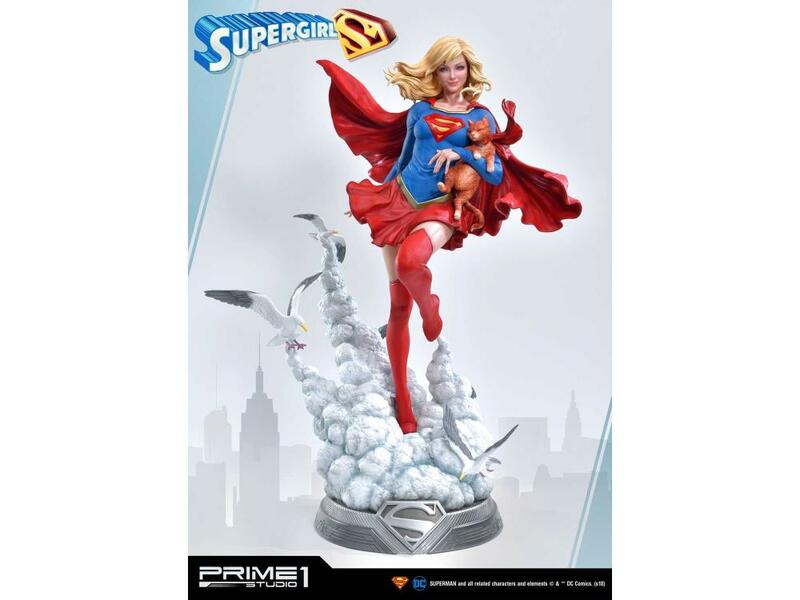 Prime 1 Studios presents the 1/3 scale Supergirl statue, another powerful being from Planet Krypton! 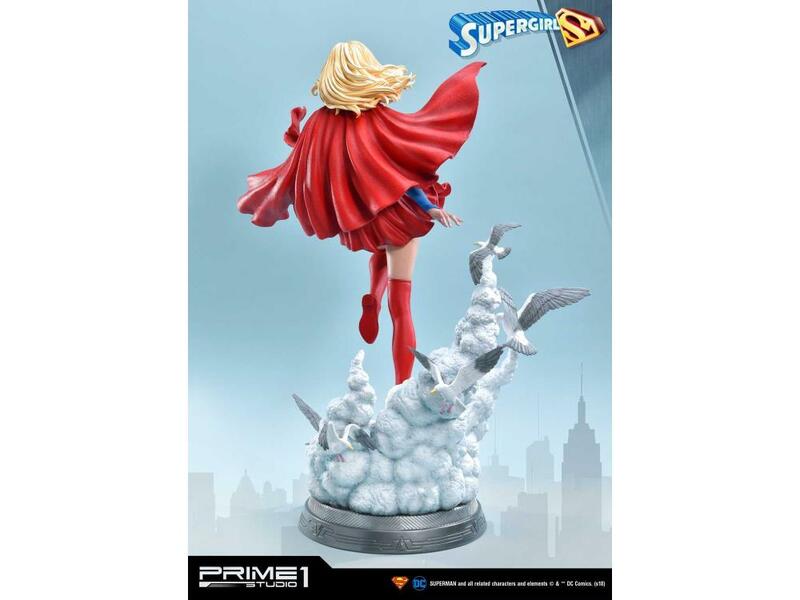 Teenager Kara Zor-el was sent to Earth after her home planet began to die. 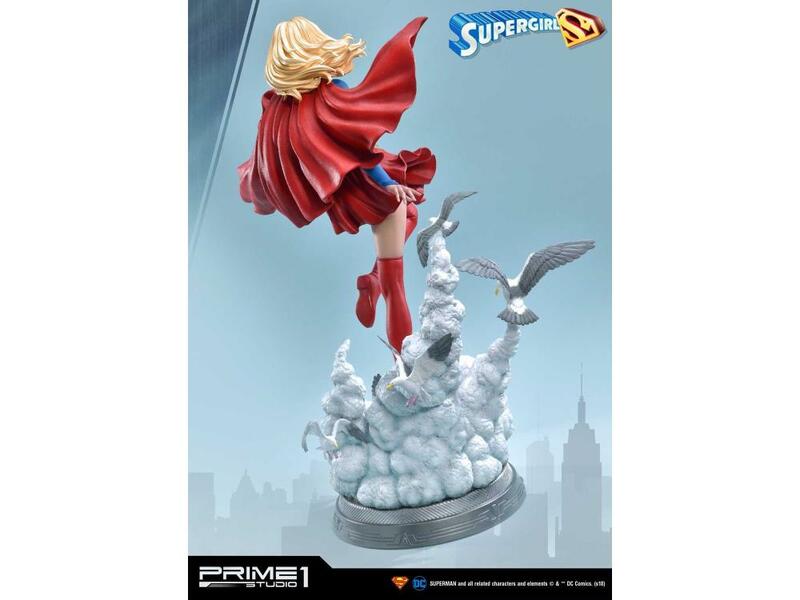 Her environment has changed dramatically from the one she grew up in and struggled to comprehend her new home, fighting for herself. 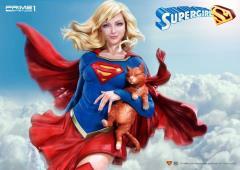 She eventually becomes the new ultimate being on Earth, Supergirl! 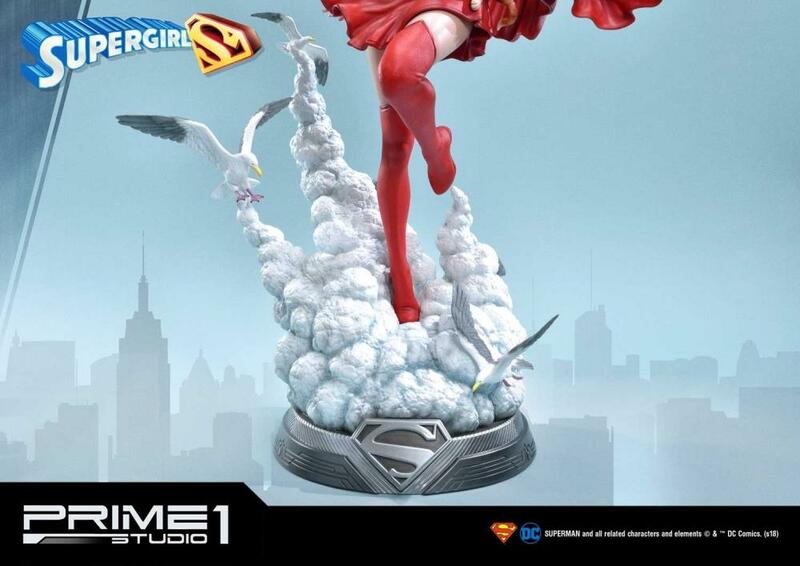 Supergirl flies across the sky with one foot gently touching the surface of her cloud base, birds fluttering around her. 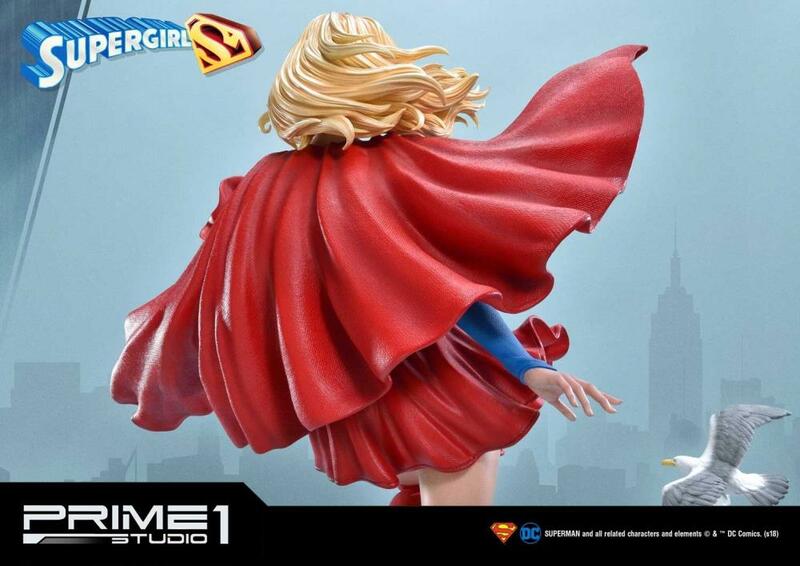 Her cape show movement from the windy environment. 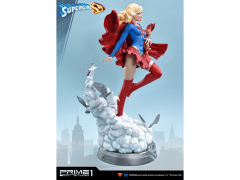 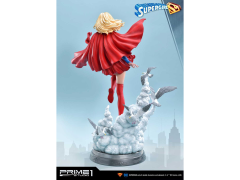 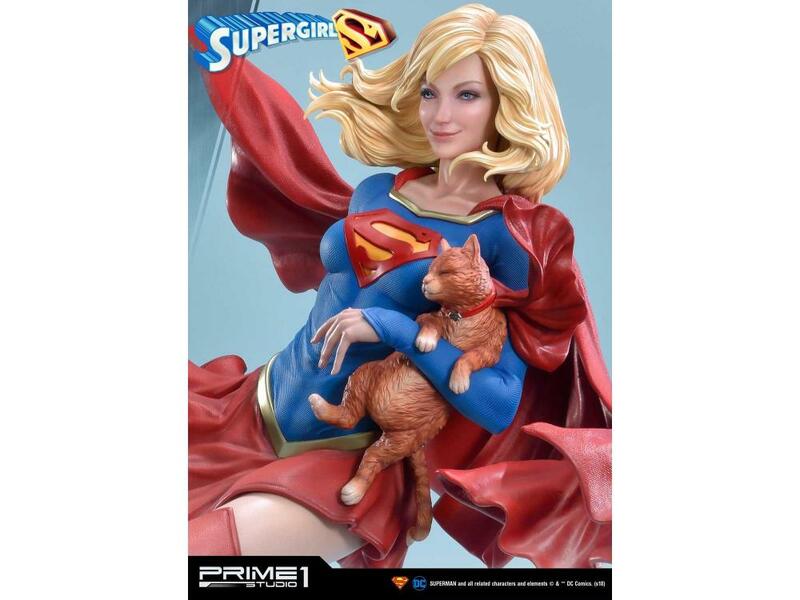 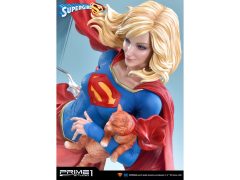 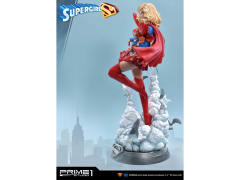 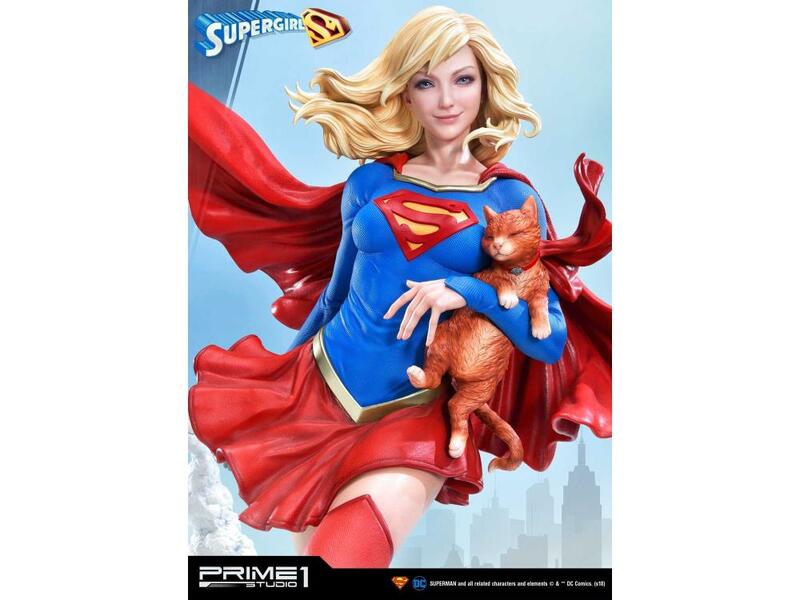 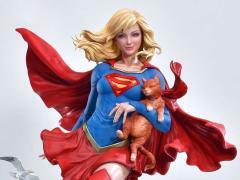 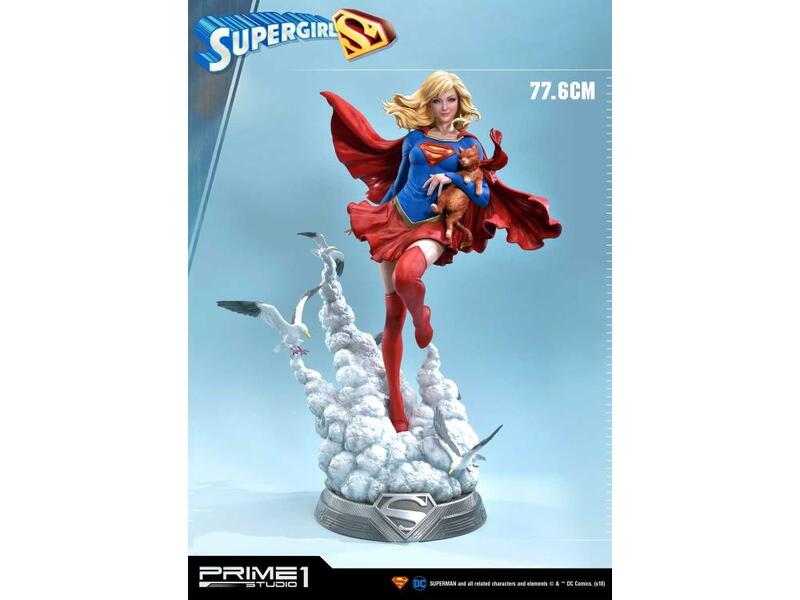 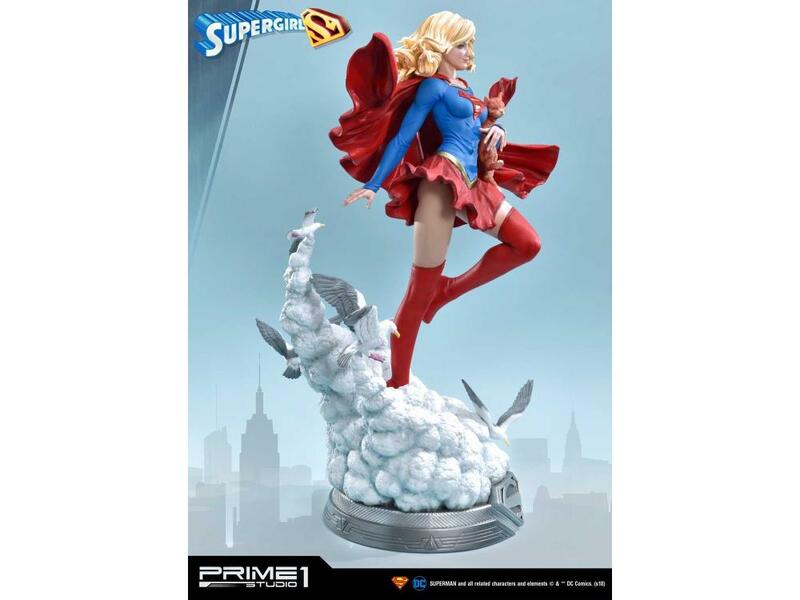 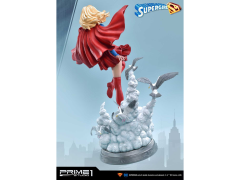 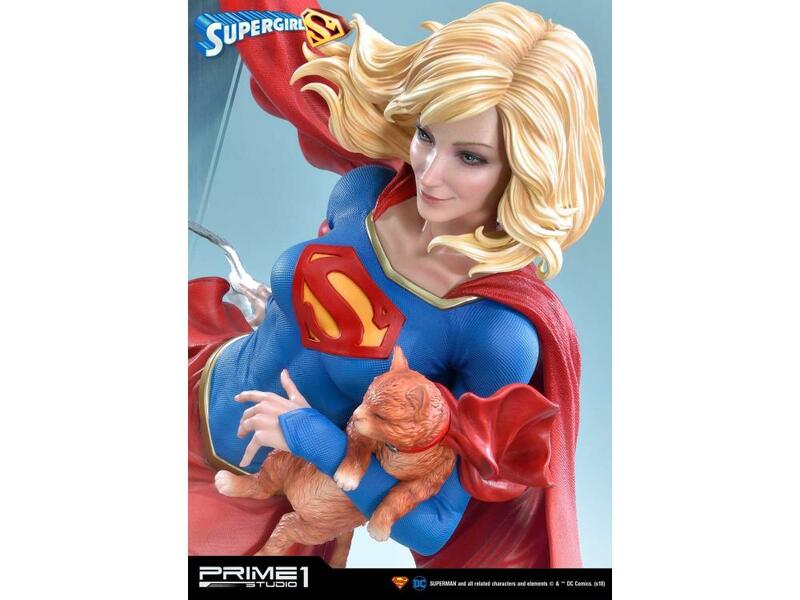 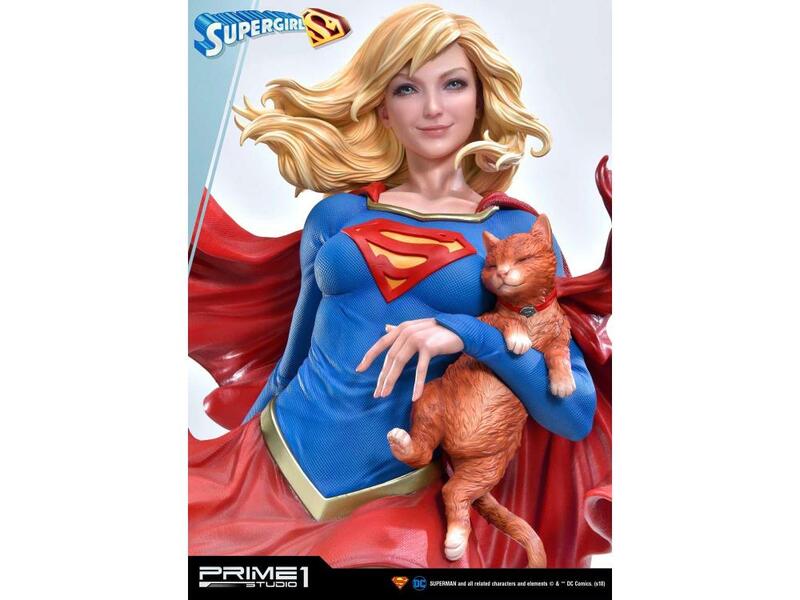 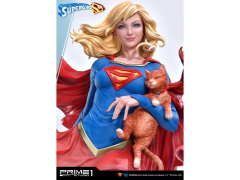 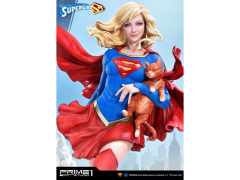 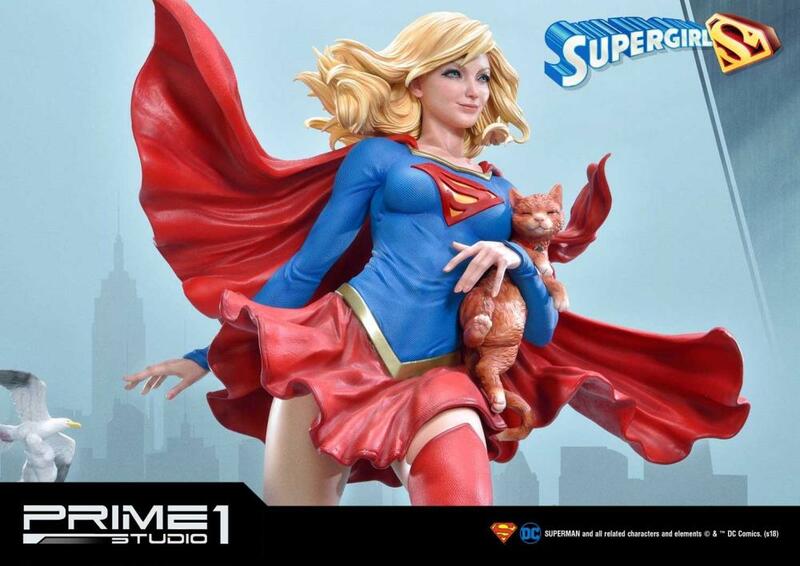 This statue has been sculpted with a pose that perfectly captures the beauty of Supergirl while she holds her pet SuperCat, Streaky.